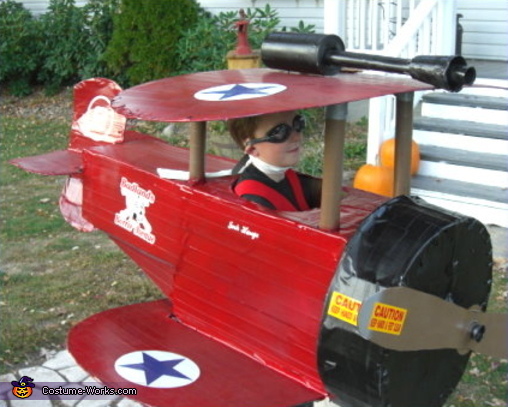 The Pilot of this beautiful Red Bi-Plane is 9 year old Josh. Josh's Dad is also Bob (Batman on Batmobile costume creator). Pretty AWESOME! Another Creation that comes equipped with moving parts and lights. The Propeller even spins by "SUPER rubber band" method!